This richly flavored vegan / vegetarian jerky has a wonderful tear-apart jerky texture and bits of flavorful cracked pepper. Made with cracked black and white peppercorns and just a hint of lemon, this Cracked Black Pepper Vegan Jerky is the perfect answer to your midday cravings. It will leave you feeling full of steady energy without the crash that comes with sugary caffeinated drinks. It’s the perfect way to turn your midday slump into a “treat yourself” moment. 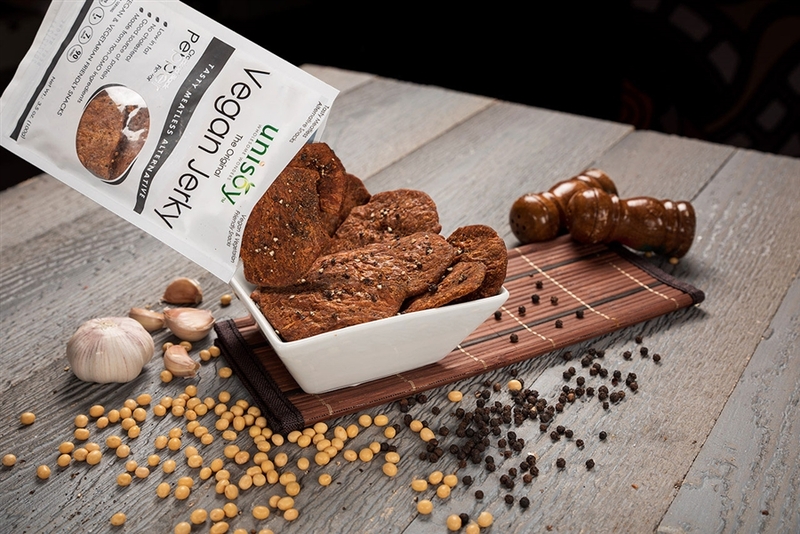 The Unisoy Vegan Jerky - Cracked Black Pepper is a great tasting product. Love it!!! The downside is the price compared to the amount of product in the package. I bought the 6 pack. I realize they are only 3.5 oz each, but they are not consistent. Some packs had 5 pieces and others only had 4.